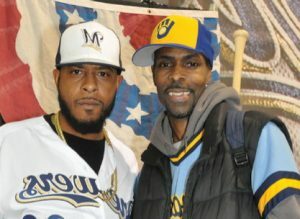 On Sunday, January 27, 2019, the Milwaukee Brewers hosted their annual “Brewers on Deck” at the Wisconsin Center, 400 W. Wisconsin Ave.
“Brewers on Deck” is the winter fan fest that bridges the gap between the end of the season and spring training. 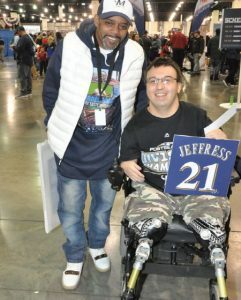 The event features a number of activities for the entire family including: autographs and photos with Brewers players, coaches and alumni; interactive games; Q&A sessions; a game show; pitching and batting coaching sessions for the kids; and plenty of vendor booths with Brewers memorabilia for sale. There was also an opportunity to have breakfast with the Brewers. 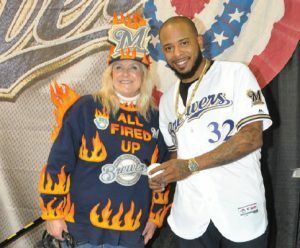 This year the event sold out quickly, with proceeds from the sales going to the Brewers Community Foundation. 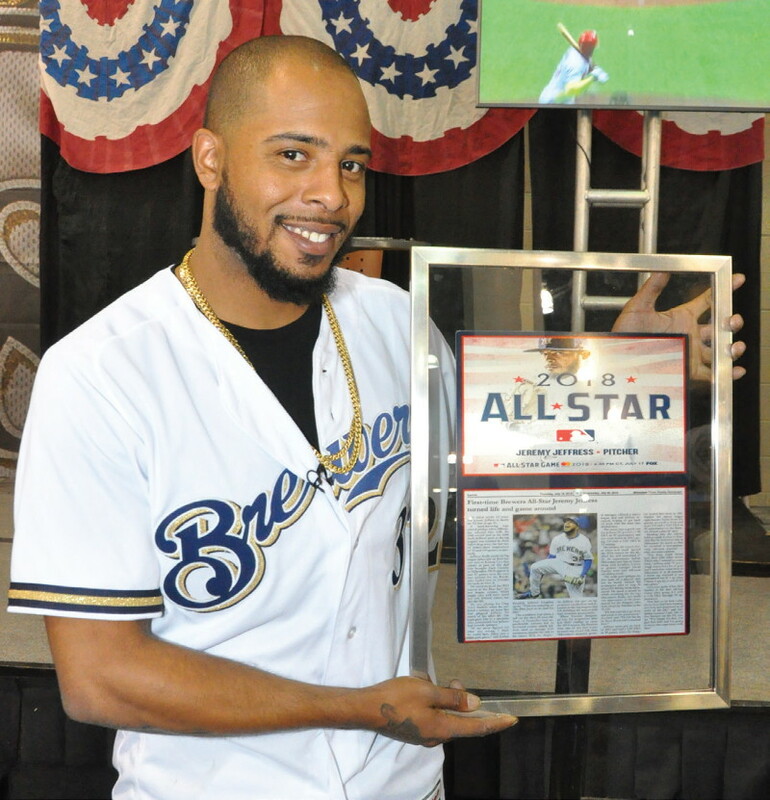 Pictured at the event are Jeremy Jeffress, who was given a special plaque commemorating his participation in the 2018 All Stars Game by friend and Milwaukee Times photographer Yvonne Kemp.